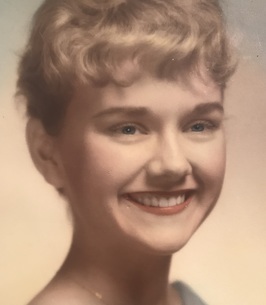 Carolyn Bessey Service Details - Mount Laurel, New Jersey | Mount Laurel Home for Funerals, Inc.
Carolyn Bessey 75, of Haddonfield New Jersey (formerly of Medford NJ) passed away on November 12, 2018. Carolyn is predeceased by husband Bob, who she was married to for 50 years. She is also predeceased by her parents, Charles and Ann Garrity. Carolyn was raised in Margate, NJ. She received her undergraduate and Masters degree in education from Glassboro College. She was a retired elementary teacher for the Medford School District. Carolyn is survived by her three children and six grandchildren. Carolyn enjoyed spending her summers at the Jersey Shore, vacationing with her children and grandchildren, attending church and listening to music. 349 Evesboro - Medford Rd.